THANK YOU FOR USING THESE GUIDELINES!! Anything weighing more than 35 pounds. Ask friends or neighbors, and give them a copy of these guidelines. Limit your items to no more than 25 per category. New and nearly new sell out!! Questions? Call Mary (722-3554) or Peggy (712-9143) or bring an item to a monthly meeting and we will help price it. THANKS SO MUCH FOR MAKING THIS A GREAT BRANCH FUNDRAISER!! Mark Your Calendar and Save These Dates! Program co-chairs, Nancy Evans and Jan Grierson have been working diligently to provide interesting, informative, and fun programs for the coming year. Program planning is still underway at press time, and some still needs to be confirmed. However, all the dates for our Branch meetings are firm and need to be on your calendar! Half Moon Bay City council Candidates’ Forum . STEM Campers will share their experiences from camp in Half Moon Bay. women running for public office. Reservations are required. Please watch Tidings for more information. A presentation on Title IX and STEM for girls in our schools. AAUW— eliminate violence aimed at our schools? What actions can we take to prevent another tragedy from taking place? Saturday, June 15, 2019 Location to be determined. Time to be announced. Please note: Hospitality — indicates a request for refreshments, as well as being on call for helping with minimal room set up and/or clean up. Event Support — indicates a request for more extensive help with set up and/or clean up for a particular event, but does not include providing refreshments. 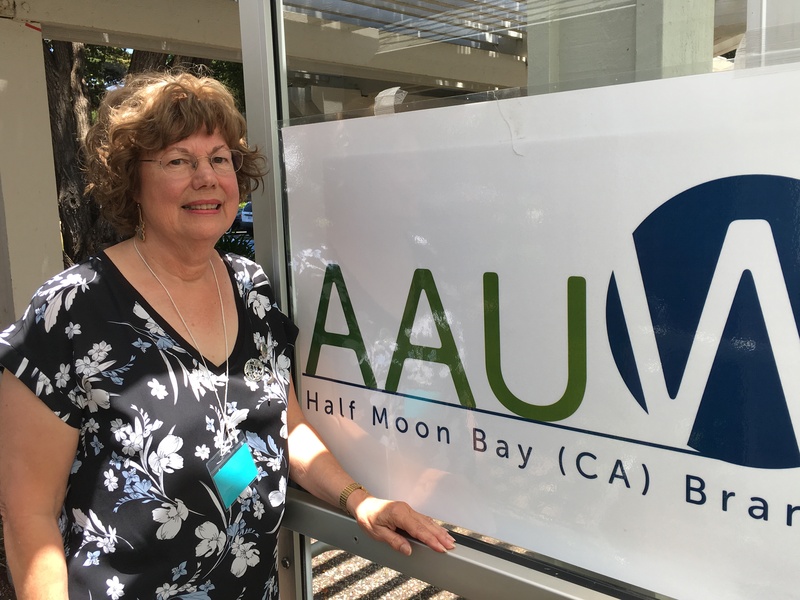 Half Moon Bay branch celebrated our 50th anniversary in the 2016-2017 year on the coast with AAUW’s mission: To advance gender equality for women and girls through research, education, and advocacy. AAUW was founded in 1881, more than 130 years ago, to open doors of education to women and to unite alumnae of different institutions for “practical” educational work. The Half Moon Bay branch covers the broader section of the coastside with members ranging from the south in Pescadero to the north in Montara, east to Woodside with Moss Beach and El Granada represented too. AAUW empowers all women and girls to reach their highest potential. 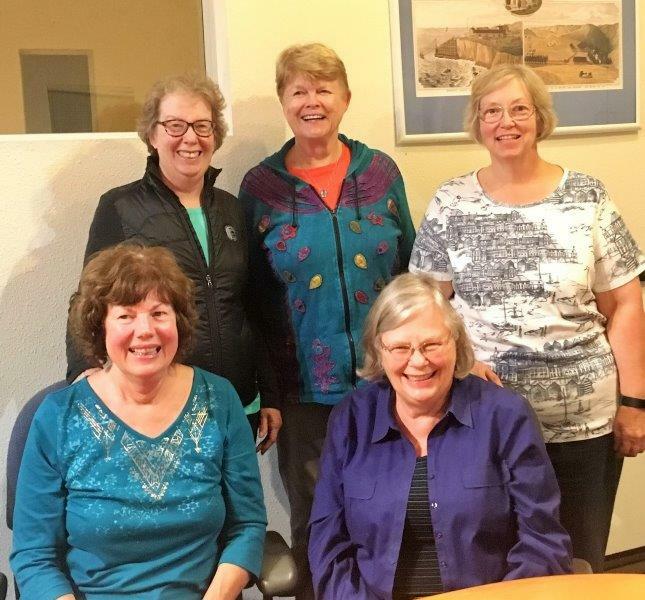 By joining AAUW, you belong to a community that breaks through educational and economic barriers so that all women and girls have a fair chance. In principle and in practice, AAUW values and seeks a diverse membership. Membership is welcome to those who have achieved an associate or equivalent (RN), baccalaureate or higher degree from a regionally accredited college or university. We also have Student Affiliation open to anyone who does not already hold an undergraduate degree and are enrolled in a two-or four-year regionally accredited educational institution. as instructed with your remittance.